An essential overview of the problems of our world today -- and how we should prepare for tomorrow -- from the worlds leading public intellectualWe have two choices. We can be pessimistic, give up, and help ensure that the worst will happen. Or we can be optimistic, grasp the opportunities that surely exist, and maybe help make the world a better place. 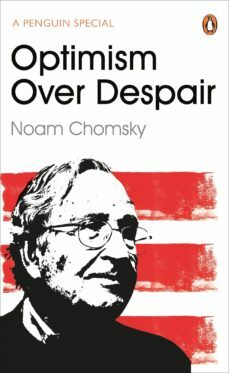 Not much of a choice.From peerless political thinker Noam Chomsky comes an exploration of rising neoliberalism, the refugee crisis in Europe, the Black Lives Matter movement, the dysfunctional US electoral system, and the prospects and challenges of building a movement for radical change.Including four up-to-the-minute interviews on the 2016 American election campaign and global resistance to Trump, this Penguin Special is a concise introduction to Chomskys ideas and his take on the state of the world today.